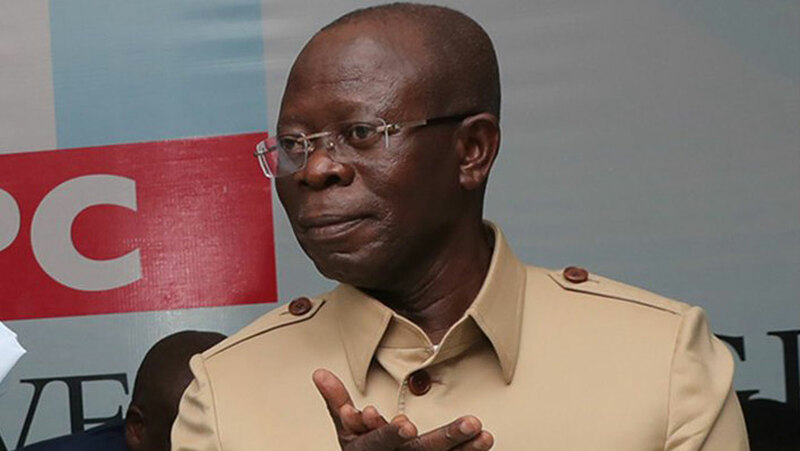 The National Chairman of the All Progressives Congress (APC), Adams Oshiomhole, is set in his old ways and cannot be changed. He disclosed this about himself at the State House, Abuja yesterday after he visited President Muhammadu Buhari. â€œAnd those who know, know that at my age I cannot learn new tricks,â€ he told reporters. The APC chairman had been explaining his handling of the crises that trailed the partyâ€™s primaries and he extended a hand of fellowship to some aggrieved governors. He said: â€œI believe three governors are not particularly pleased with the outcome of the primaries in their states and you cannot grudge anyone for not being happy if a particular outcome does not coincide with his expectations. I donâ€™t have power to appoint and I donâ€™t have power to change, particularly when things have been properly done. â€œNow, if this makes one, two or three people unhappy, it is unfortunate but they are my friends. He continued: â€œIf there is a choice between my conscience â€“ what I believe is right and mortgaging that conscience in order to keep the job â€“ I will have no difficulty resolving it in favour of my conscience. Late Tuesday night, Buhari had appealed to party aspirants who lost out in the primaries. He urged them to remain faithful to the country and hold to integrity, as other opportunities to serve could come their way. At a dinner with the APC Aspirantsâ€™ Forum Buhari stressed that the key motivation for contesting elections should be to improve the country, not pecuniary gains. â€œWe must maintain our faith in the country,â€ he said. He reminded his audience that he contested presidential elections thrice before winning in 2015. Providence will always pave the way for the just, committed and patient politician who wants to truly serve the country, he said. He warned the aspirants to be vigilant and circumspect in making choices because only those who love the country would salvage the future. APC National Leader Bola Tinubu, who was also at the State House yesterday, held a closed-door meeting with Buhari. Analysts believe the talks may have centered on cleaning the dusts of the contentious primaries and firming up the partyâ€™s chances ahead of next yearâ€™s general elections. Following the meeting, Tinubu told reporters the APC had no qualms with whatever arsenal the opposition Peoples Democratic Party (PDP) chooses to deploy. â€œWe donâ€™t fear. Whether in the jungle or in Dubai or Abu Dhabi, people are free to meet and strategise in anyway. But we are not going back to the illusion of the PDP. It is not possible. Nigerians will not do that. They say slow and steady wins the race. We inherited that from our forefathers and knowledgeable people. We canâ€™t go back to the pit we inherited for 16 years. They can strategise from anywhere but a leopard cannot change its skin,â€ he said. Recall that PDP chieftains and presidential aspirant, Atiku Abubakar, met in Dubai recently where they fine-tuned plans to return to power in 2019. Tinubu also threw his weight behind Oshiomhole, saying calls by some aggrieved members for his removal were misplaced. In another development, Buhari yesterday urged political actors to exhibit decorum in their conduct and utterances as the November 18 date for campaigns draws near. He made the call in Abuja when he launched an emblem and an appeal fund in support of Nigeriaâ€™s war veterans and fallen heroes. The event was part of ceremonies heralding the 2019 Armed Forces and Remembrance Day Celebration. â€œWe would have no country to lead if our acts of deliberate incitement lead to the disintegration of our dear nation,â€ the president said.